New build, finally built the spitfire. All up weight with battery is just a tick over 1 pound. With a 1500kv 2836 on a 9x4.7 prop. Maiden it yet? If so, how does it fly? 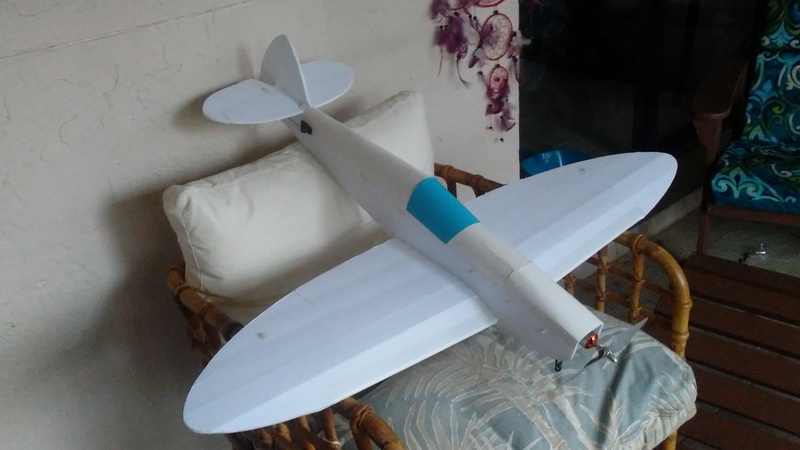 I built a 125% FT Spitfire and it flys amazing! I love my FT spitfire, one of the best flyers they designed. Just watch the torque pull to the left on launch. Anybody that has flown it, is she a little pitchy with the elevator? Seems like a big control surface a long way from the wing. After you get by the launch it flys great!